//Can't tell if that is all pointed at me or someone else, anyway size wise I didn't want eastern Russia either there is nothing there of use and it makes me just as, or a litte smaller than dot. I just seem so large. //To answer your question, Stars, that wasn't pointed on you: it was pointed on just about everyone who was in the RP. That was my original plan - it can be something like a haven for crimes, except that it is right in between three superpowers. The 40 people on the Columbus Spacecraft looked down at Mars's Surface, and they were in awe. The planet was like nothing they had ever seen with their own eyes before. After a couple minutes of gawking, the commander of the mission yelled to them "Get in landing positions!". 38 people of crew boarded the massive capsule at the front of the spacecraft, which also carried the collapsed housing units that were to be set up on Mars. The remaining 2 people stayed on the spaceship, and were supposed to "drive" it back to Earth. The capsule then launched, and began to hurdle towards the surface of the Red Planet. 10 minutes after being launched the large capsule dropped down onto the Martian surface. They were close enough from the Gale Crater that the Topsailian Rover Curiosity took pictures of the capsule as they landed. Twenty minutes after landing the cargo door opened in the capsule, and the colonists stepped onto the surface of Mars in Space Suits. 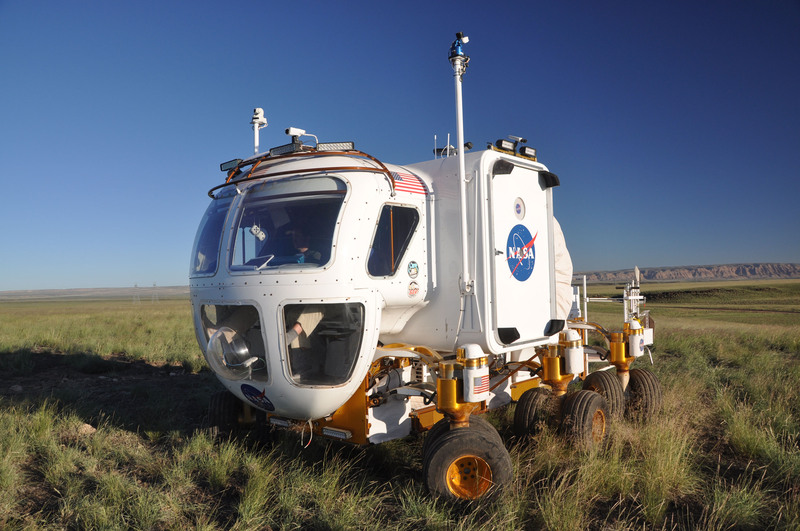 The two Space Exploration Vehicles // http://www.nasa.gov/images/content/567083main_drats_2010_sev_hires.jpg // drove off of the capsule after the astronauts stepped onto the surface, pulling out the habitation units. After 2 days of building, the base was complete. There were 10 housing units, each held 4 people except the 10th which held 2 people, and two more housing units had been set up to act as laboratories. It had finally sunk in to many people all over the World. Topsailia had sent men to Mars. Many people found themselves looking at Mars through telescopes, and thinking in awe "There are people there". Topsailia had been the first to build a moon colony, and the first to build a Mars colony. //Works fine, Stars. By the way, shall I close this thread?